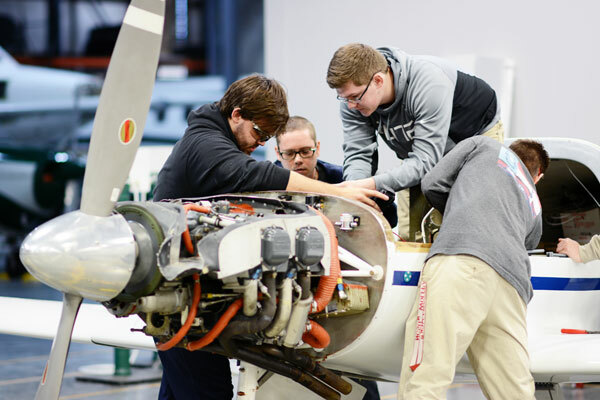 JAMESTOWN, N.C. — Guilford Technical Community College’s aviation program will host an open house and career fair 4 p.m. to 7 p.m. Tuesday, April 17. The free event will give attendees an opportunity to network with potential employers and learn about aviation’s most in-demand careers. The open house event will allow attendees to meet faculty, tour facilities and learn more about the aviation programs offered at GTCC. Programs include aerostructures manufacturing and repair, aviation electronics technology (avionics), professional piloting, aviation management, aviation systems technology (A&P) and aviation manufacturing quick careers. All events are free and open to the public. Job seekers are encouraged to bring résumés! For more information about the open house and career fair, contact Nick Yale at 336-334-4822, ext. 59014 or nayale@gtcc.edu.